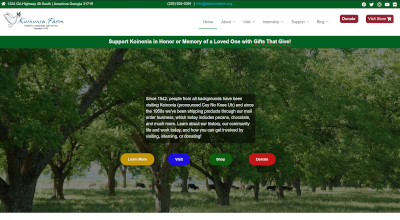 Since 2004, Koinonia has been working in partnership with the Tree of Life, an organization that provides cultural immersion experiences and educational opportunities in order to bring about a more just and peaceful world. Four Koinonia members have participated in their annual interfaith peace-making journey to Israel and Palestine. We have also hosted several events here in Americus to engage in dialogue and raise awareness of the current situation in the Holy Land. One tangible thing we can do is partner to build a viable economy for Palestinian people. In partnership with Canaan Fair Trade, we are offering a selection of goods made by family-owned cooperatives in Palestine. Canaan works closely with their 1700 small farmers (men and women) and 43 village cooperatives, empowering them through the fair trade model, teaching about sustainable practices and guiding them through the conversion to certified organic production. Plus, they offer scholarships to children of their farmers and help to promote social innovation through microloans for start up businesses. 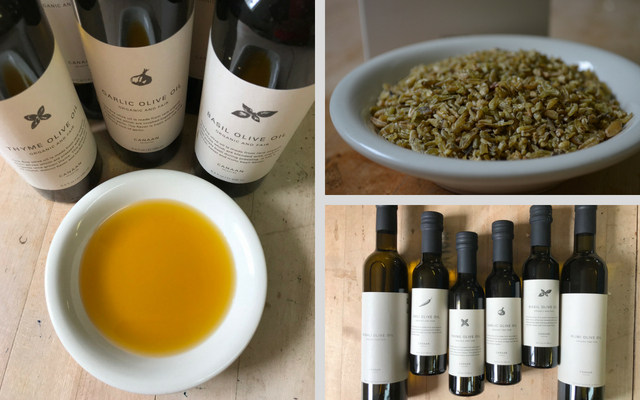 Celebrate this partnership by enjoying their gourmet olive oils and spice blends.